In love with Vietnamese traditional culture? Excited by Vietnamese folk games? Do not walk away. You’re invited to join a festival in a sacred place in Chau Doc, An Giang Province. The fourth “Dragon Boat Races” will begin on May 25 near the Chau Doc Sports Center and Victoria Hotels and Resorts to promote Chau Doc as a destination for local and foreign tourists. 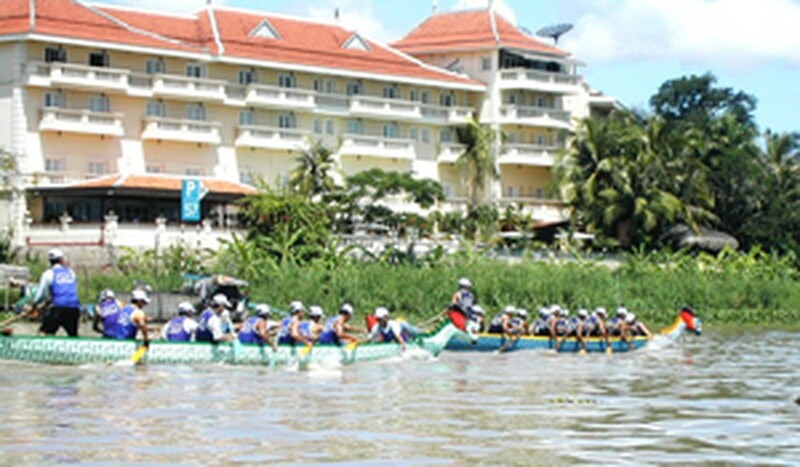 The Dragon Boat Races are held annually as part of the Lady Xu Festival and take place on the Bassac River from the Chau Doc Basa Fish Park to the Victoria Chau Doc Hotel. Around 15 teams will compete this year. The races will take place at the April 30 Park – Basa Park from 9:30 a.m. to 2:30 p.m with prizes of up to VND2 million (US$125). Later, guests can join the biggest festival in Chau Doc, the Lady Xu Festival, which is held annually at Lady Xu Temple from 23rd day to the 27th day of the fourth lunar month, or May 27-31 this year. The washing of the statue is the main event of the festival. Although the temple was built fairly recently, the statue dates from the sixth century and is more reminiscent of statues found in India, Cambodia or Laos.